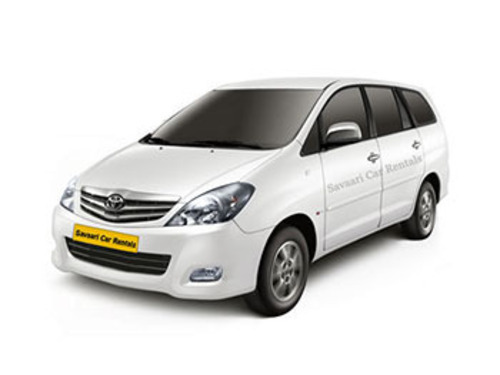 Toyota Innova is the best rent car while you are going for full family trip, Vaishno Devi Tour & Travels providing Toyota Innova car rent service in Kotdwara Uttarakhand, Shimla, Manali, Delhi on best lowest charge. we are best travel firm for offering Toyota Innova cab hire service in Uttarakhand, you can book Toyota Innova car hire services for Kotdwara to Lansdowne, Kotdwara to Tadkeshwar, Kotdwara to Satpuli, Kotdwara to Pauri, Kotdwara to Srinagar, Kotdwara to Dehradun, Kotdwara to Massori, Kotdwara to Shimla, Kotdwara to Manali, Kotdwara to nainital, Kotdwara to Rudrapur, Kotdwara to Delhi and many top destination. We assure you for all comforts and safe journey. Vaishno Devi Tour & Travels is renowned tour travel agency Kotdwara Uttarakhand, which is take care by highly experienced travel guiders Mr. Bharat Singh Raikwal, they having more than 8 years of experience as a best travel service provider in Uttarakhand, we provide travel services on best lowest rent for Delhi, Dehradun, Haridwar, Kashipur, Kotdwara, Pauri, Rudraprayag, Chamoli and its covered area, we are travel service provider in all Uttarakhand such as Lansdowne, Tadkeshwar, Satpuli, Pauri, Srinagar (Garhwal), nainital, Rudrapur, Dehradun, Chakrata, Mussourie and other cities like Shimla, Manali, Delhi etc. Vaishno Devi Tour & Travels is services provider for car hire services, taxi on rent services, bus booking services, Railway ticketing services, Air ticketing services etc. we having best ranges cars and taxi for rent, you can book cars on rent such as Tata Indigo, Tata Indica, Tata Sumo, Mahindra Bolero, Ford Classic, Innova, Tavera, Mahindra Xylo etc. we are the best travel company in kotdwara Uttarakhand. Customer satisfaction and safety is our prime motto. You can provide us a chance to serve, we ensure you for top class travel services in Uttarakhand.